With a rich 30-year heritage of creating outdoor and snow sport apparel, White Sierra® has gone above and beyond to create high-quality clothing at an affordable price. White Sierra clothing is designed to be durable, easily accessible and perfectly suited to your outdoor adventures. Today, most people are looking to stretch their dollar even further without sacrificing their outdoor activities. Thanks to White Sierra apparel, you can get even more bang for your buck with their value-driven outdoor clothing. Don’t shiver as you ascend a snow-filled mountain or sacrifice comfortable UPF sun protection through your clothing on your hike. Look towards the top-quality of White Sierra, and keep your body protected from the harsh elements as you enjoy the great outdoors. White Sierra continues to bring customers durable performance-driven products at affordable prices to help people from all walks of life enjoy the outdoor world. They strive to bring fresh ideas and new technologies to their collections. White Sierra is known for the great quality and value of their line which is exactly what you’ll find time and time again. Probably one of my favorite coats. Perfect for fall/spring and even to layer with. True to size. Very comfortable! I know other review mentioned something about too long of sleeves but I didn’t notice anything significant. Great coat! 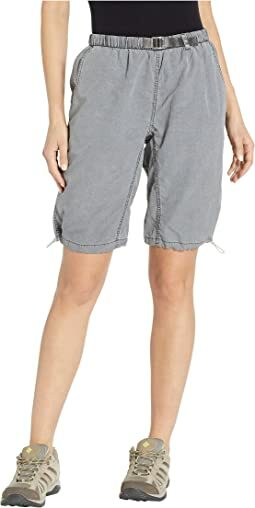 I purchased this skort after returning similar skorts from LLBean & Duluth trading. I ordered the castle rock color in both small & extra small and decided to keep the small since it was a looser fit. I usually wear a size 4 or 6. The main reason I chose this skort was because the price was reasonable and the skort is not extremely short. The quality of the fabric is good and the skort is comfortable. 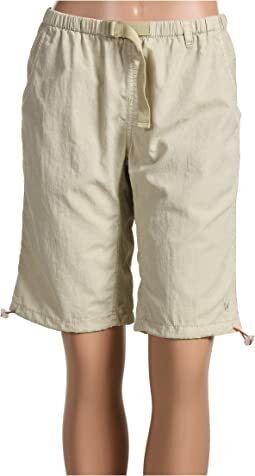 It will become a summer staple for those of us who no longer want to wear shorts. 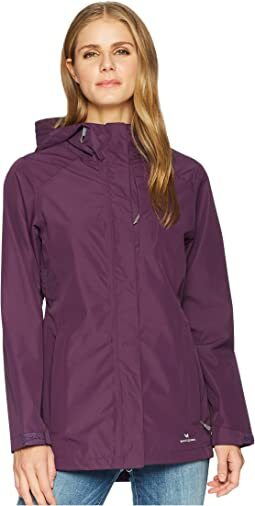 This jacket has a lot of room to have some layers on underneath, so I don't need to buy a heavier rain coat, which is a plus. It has excellent coverage for hair, so I feel more comfortable going into the rain with my hair done. Great buy! I ordered an XL and it was too big. looked like a purple box on me. 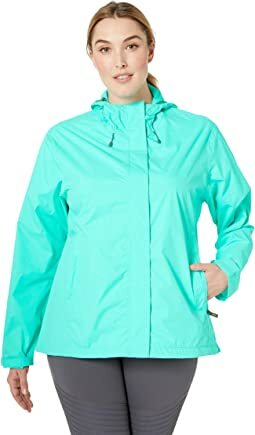 This is DEFINITELY a rain coat...pretty stiff and not so breathable. It will keep you dry but I think the sauna effect of this jacket would be overpowering. seems sturdy and would probably last forever. The skirt is nice, and the material is fairly thick, so you don't have to worry about it being see-through. However, it was a little shorter than I expected - definitely shorter than most skirts in this style. 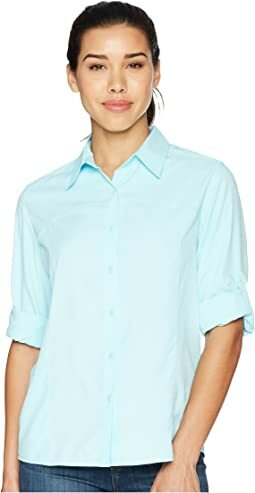 It's comfortable, and the colors are true, but I teach high school, and would feel self-conscious if I wore it to work. Could barely get them over my hips, but the legs were huge. Looked like good quality but the sizing is so off. 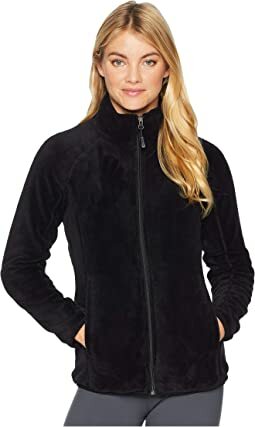 I was excited to see a plus-size sportswear brand, but they should consider making curvy cuts of clothing to fit customers better. These shorts are exactly what I wanted. They are the right length and fit perfectly. I like the pockets and the general look. Would recommend them. 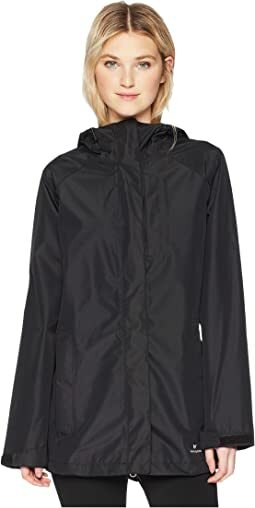 Bought this for the rainy weather of Europe. Love the comfort and fit! i bought this in lavender and it fits well. I like that the sleeves roll up which is nice for walking the beach. Very lightweight and love the spf coverage. 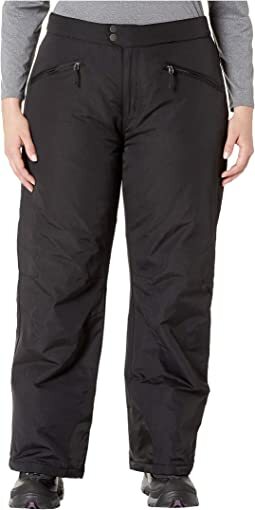 Perfect rain pant. Fit as described. Good quality for the price. 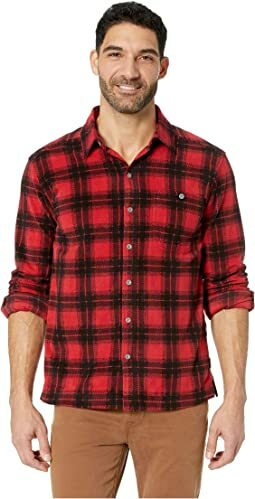 Its fleece, not flannel. Not what I was expecting. Also, the second button down from the neck is very low. Didn't like the look once I put it on. Perfect between season jacket. Only issue is that sleeves are too long. Otherwise great. Blue is very pretty color. Fit was about right. I had an XL with 29 inseam and it was perfect for a 5'5" female size 16 in jeans. Loved the skirt! I read reviews before ordering and decided to size up to a large. Had to return and get a medium. Fits much better! I really like this jacket. I originally bought it because I was taking a trip to central Florida and didn't want to bring my heavy winter jacket. 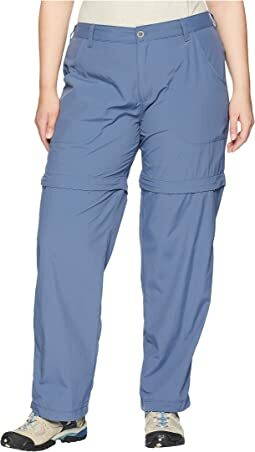 I'm 5'4'', 118lbs and bought the sm and med sizes. I didn't even try on the small since the medium fit perfectly. Love these White Sierra fleece pants! Very comfortable, they wash well with no shrinkage and actually fit me! Zappos always does a great job describing their merchandise!!! My husband bought a pair of Prospirit pants from Target many years ago. He LOVES them. Prospirit was obviously absorbed by some other company, but these High Sierra are identical to the pants he loves. So happy I found them. Downside is my husband wears a 2XL and is therefore hard to fit as all companies treat 2XL differently. Well, unfortunately, this pair fit beautifully everywhere but his gut....not an unknown problem in older males. I am disappointed. Wish there was a 3XL to try OR I can find this style elsewhere. The material is soft, however there are no pockets which was a deal breaker for me. 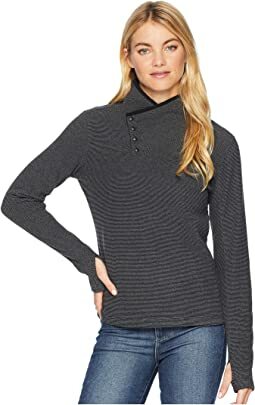 The style of the collar initially drew me to the pullover, but when trying it on it looked just like a chef uniform....which is not the style I'm going for. My husband likes the pant for skiing. He normally wears a 32 length in regular pants, but wanted these in the shorter length so they didn’t drag on the ground! The length works for him and doesn’t look like “high waters!” Appreciate being able to order specific lengths! 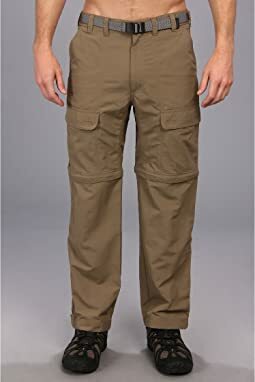 He said he would prefer zippered pockets instead of Velcro, just so he would feel more secure about putting his keys in the pockets while skiing or snowmobiling! He has zippered jacket pockets though, so guess it is ok that the pant pockets are Velcro closure! He wore the pants with a base layer underneath and they were comfortable and warm! Perfect pants very comfortable and keeps me warm. Worth the money. I LOVE these shorts!!! I have them in the green and bought another pair in the lavender color I liked them so much! They are lightweight, dry quickly, are comfortable, stylish and just plain easy. They're casual and relaxed fit without looking like you're carrying a load in the rear! I like the style and the fit is loose as on the model. The only issue I had, is that they are rather thin. I thought these fleece pants would be warm. They are not. They are, however, very comfortable, so I am keeping them for a New England Spring or will wear them over my thin thermals outside in the winter. 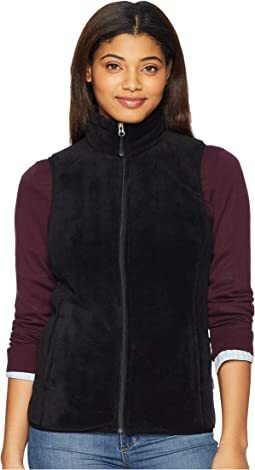 I love this cozy, warm, simple jacket! It’s like wearing a soft blanket—but looks a lot better.